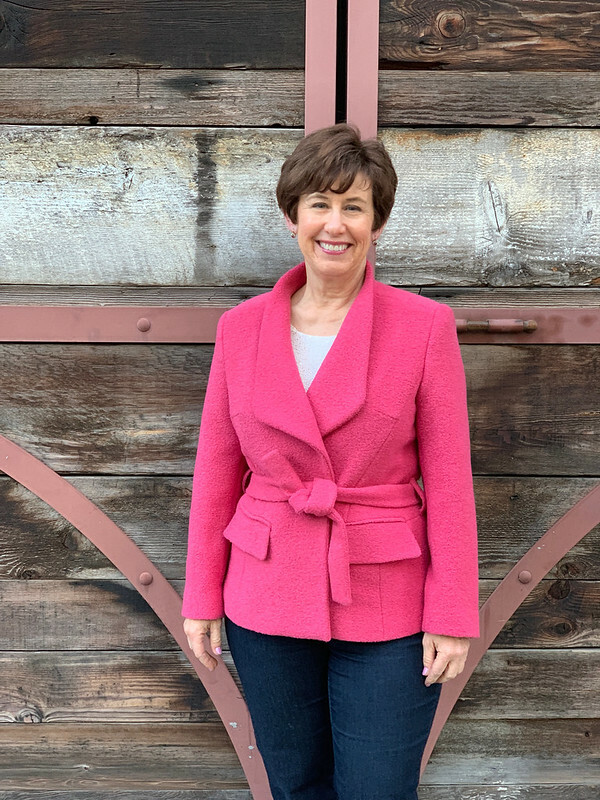 This spring I have repeated something that I've done a few times in recent memory, that being I've sewn up a wool coat or jacket that will not get any wear until next fall. 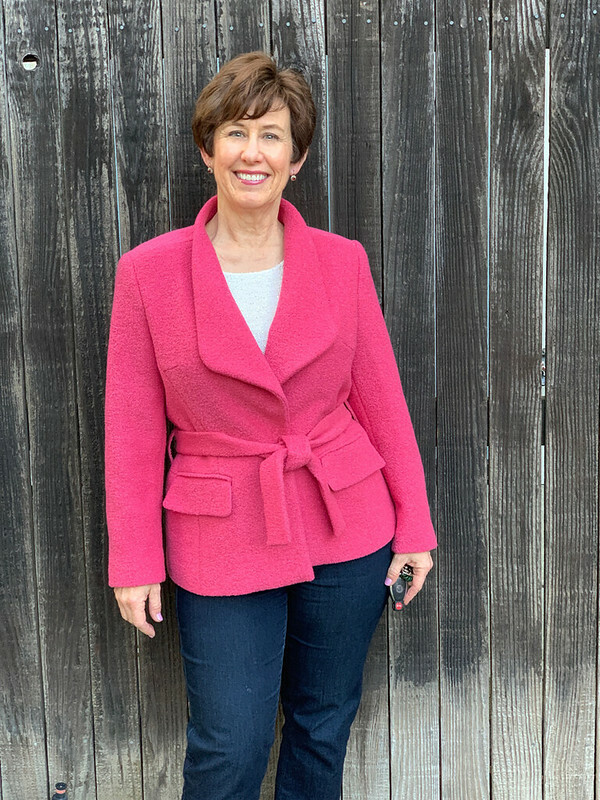 I just finished this Burda jacket from their October 2018 issue, it's # 108. I've been wanting to make this jacket since that issue arrived in my mailbox. Despite the fact that it has a belt. Coats or jackets with belts and I just don't get along. I often walk around with a jacket open, not buttoned up so what happens to the belt, it just hangs there. But despite those misgivings I loved the collar/lapel arrangement on this pattern. Perhaps also the photo in the magazine was shown in cherry red, so appealing to me. I went on a hunt for some suitable fabric. 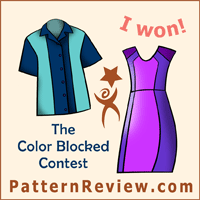 And also to find a color that didn't already exist in my wardrobe. I wanted a solid color and so around Valentine's day there was a extra 10% on the Mood Fabrics website on all things pink. So this wool boucle jumped into my cart. My regret is that I didn't buy about 1/2 yard more, as I have about 5/8 yard remaining and if I had one yard remaining I could have made a cute 60's style sheath dress to wear with my jacket. Now that would be committing to this color, right? But I will work on finding something to pair with that remnant and come up with a use for it. 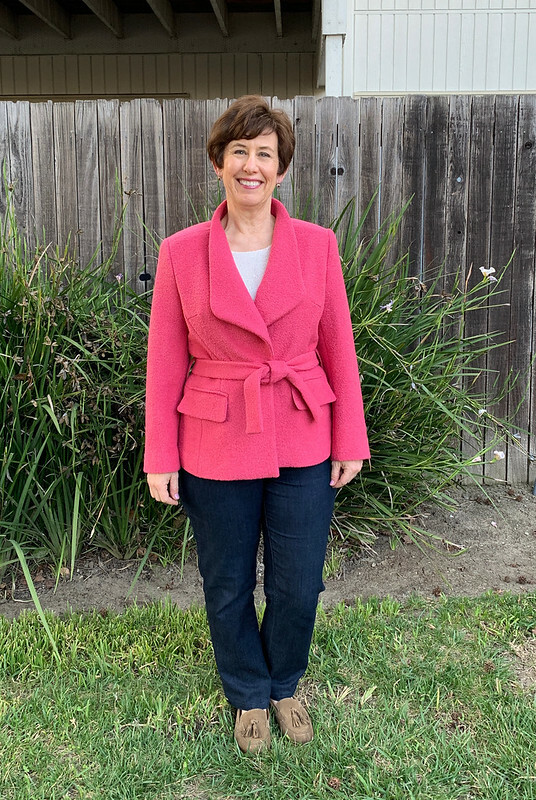 I have so many projects going on right now that I didn't do any photos during construction - but if you want jacket sewing details look at any of my previous posts, I've made 3 blazers in the last couple of months! I did take this one during some late night sewing, and had to ask @geopri123 about the pocket construction as it wasn't quite apparent to me, and of course the Burda instructions are a bit cryptic. 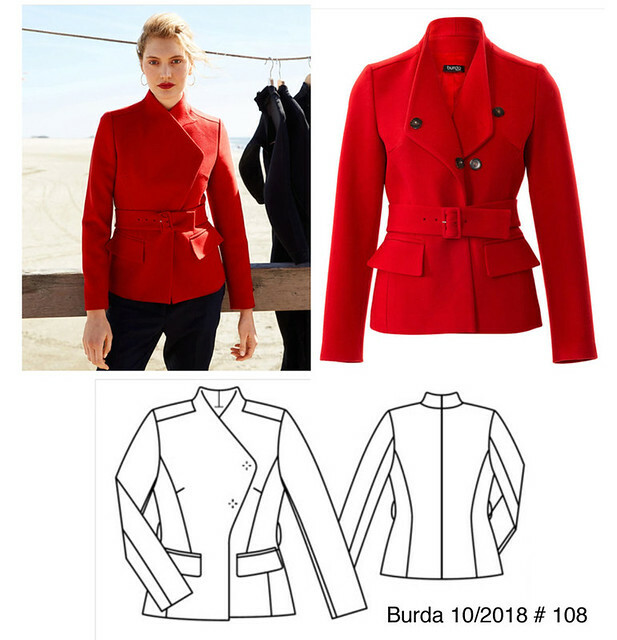 Actually the Burda instructions are generally OK, but where the fall down is that they give names to the pattern pieces or various components that don't quite make sense. Perhaps it's the translation. In any case she gave me some info and they came out fine. I think the belt is a bit bulky, but I didn't get around to making an actual belt with a buckle. I found a nice buckle in my stash so when autumn arrives I will make that and be ready to wear this when the chilly weather returns. Here are the images from Burda. I just can't with those big snaps, I think they ruin the look of the lapel. But that means the belt is definitely needed to keep it closed. 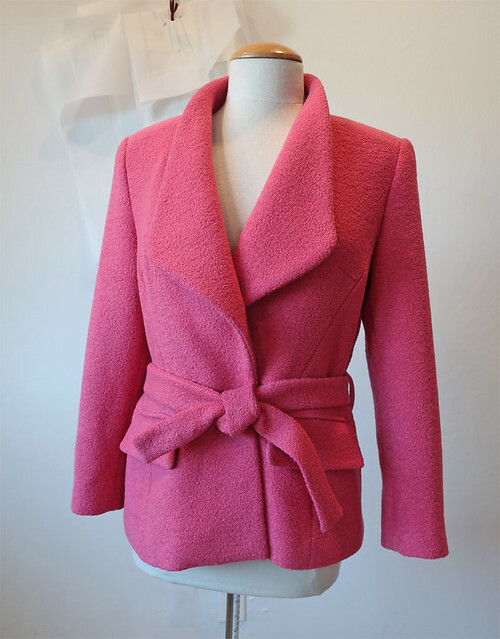 Sewing note - I added 2" in length to this jacket. My tendency is to have jacket stop well below my hipbone, perhaps because I have a long rise (despite being a short person) a lot of jacket pattern seem too short to me. So I add length which I can always remove if not needed. I didn't use the pocket welt pieces for the pockets, just cut my own but after I did the first one I realized that they would have been a lot easier to sew if I had made them a bit wider, like 3/8" instead of my usual 1/4" wide. That boucle is a bit thicker than other wools. See above, that tie belt is just too bulky and regretfully I tied it a bit sloppily when I took the outdoor pictures. On the plus side, the color of the jacket is pretty much exact in the outdoor photos so you can see how bright it is. I think it is more of a coral pink than a true pink. I started a top to go with this jacket in a white/pink print fabric and ended up not liking my super bold sleeves - so it will be revised into a sleeveless top. Which I will probably wear more anyway! I still have the a navy blue/pink rayon woven I bought at Stone Mountain for a top to go with this and I won't mess that up. So that's the latest on my bold pink jacket. As I mentioned at the top of the post, I've sewn up a wool item just as our spring weather warms up twice before. First with this blue wool coat from the Burda Style Book, and second with this Burda Shawl collar coat . Hmmm, perhaps a theme here, I find the Burda outerwear so nice that I covet these patterns and make them up whenever the mood strikes me. Note to self - sew fall things in the fall. 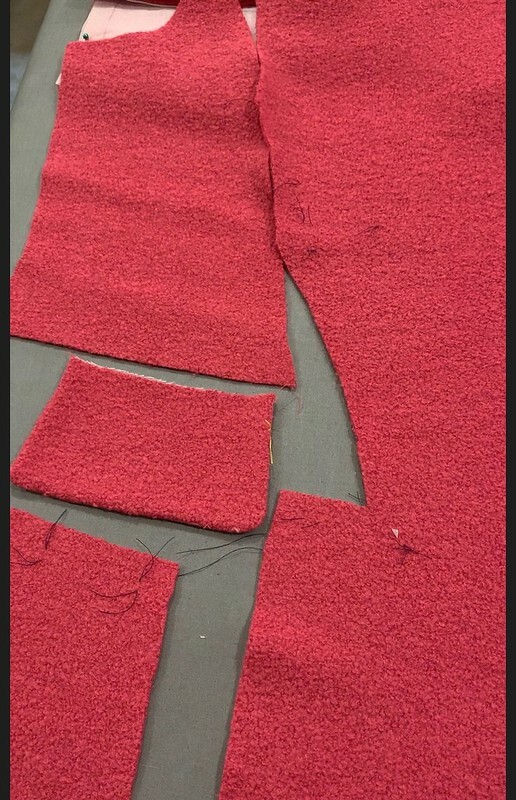 The problem with sewing fall things here in N.Calif. 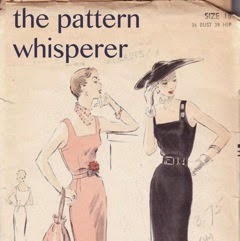 is that it is quite hot in Sept. and often into October so I never want to be sewing warm fabrics then. Perhaps my clever plan to sew them in spring and then put away to be ready for fall is genius! ha ha. In other news, lots of new classes coming on the calendar at Hello Stitch Studio. Culottes, a jumpsuit, dresses, a cami top, jeans and more. We are focusing on specific patterns for the classes and choosing ones that come in a full range of sizes. Hope to see you in a class soon. Jacket Weekend Workshop - definitely in the plans. Either in mid Sept. (9/13-15) or mid Oct. (10/18-20) Email me if you are interested and want more details. We will decide on the date soon. I'm now leaning towards the September date plus that is a gorgeous time to visit the Bay Area! P.S. 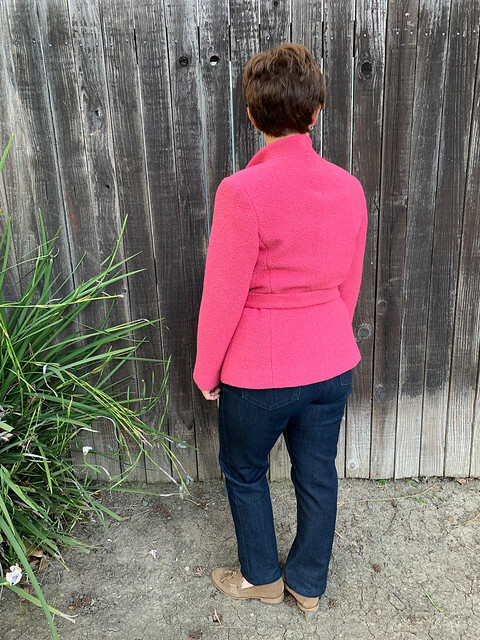 planning on using the new Closet Case Jasika blazer pattern although if you already have a jacket pattern picked out I'm fine with that. 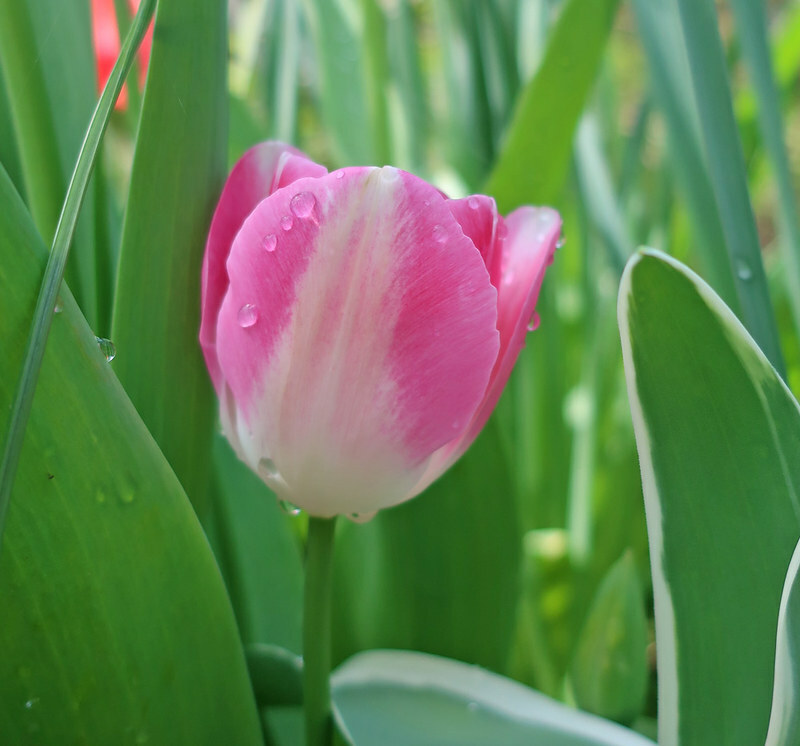 Of course it had to be a pink tulip for today's garden photo to go with my pink jacket. These striped tulips have been such a pleasant surprise after I forgot that I planted them. That's the thing about gardening, some delightful surprises can appear. Oh, it's lovely to see that pattern made up! I like the length on you Beth...perfect proportions and such a lovely colour. This is really beautiful on you Beth, you suit this colour so well! Also I love the tie belt, nice and feminine. I'm one of those that sews out of season too - still sewing t-shirts in autumn! Looks great. But I'm glad you don't have enough to make a dress, that would be too matchy-matchy. Find a jazzy print and that will be terrific. Your work is superlative. Oh, Beth, this is so gorgeous. I love the style and the color on you, great job. This is such a gorgeous jacket and I love the colour on you. I think I might have a go of this myself come the autumn. 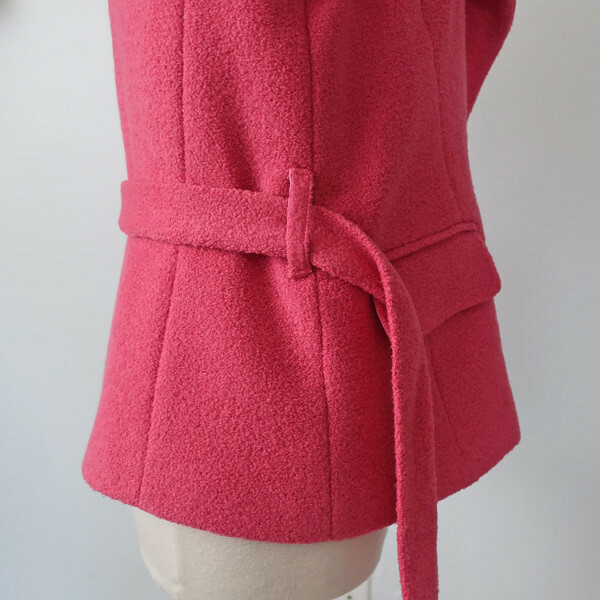 I particularly like the lines of the collar, its very flattering and looks great. Beth, I really love this jacket! Workmanship is phenomenal! It fits you perfectly. I can’t help thinking about it in linen, though! I really love your flattering and stunning jacket! The color is gorgeous on you. Now you have me tempted to get a subscription to Burda. Thank you for sharing this great make! 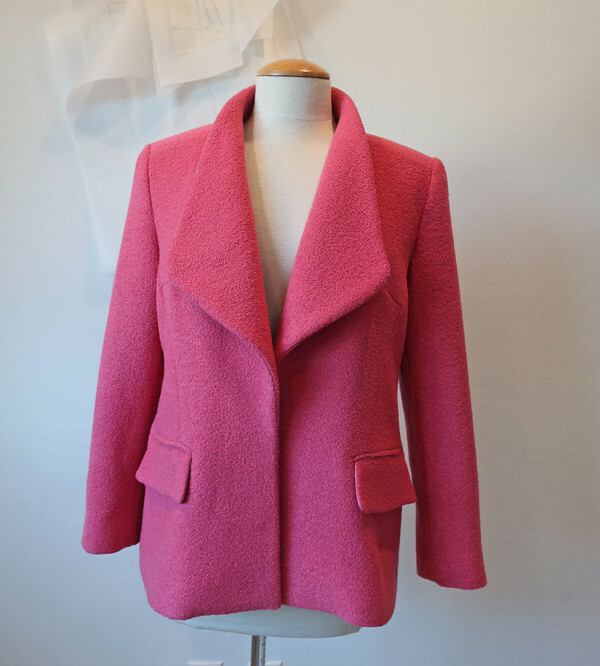 Actually I think it's genius of you to sew coats in early spring because it's something you don't have to worry about completing when fall arrives. You just have to wear them! This one is beautiful and I love the color!